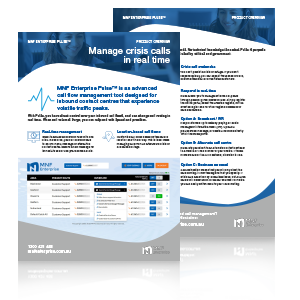 MyNetFone Pulse™ is an inbound call flow management tool, designed for organisations that experience sudden and volatile surges in call traffic. 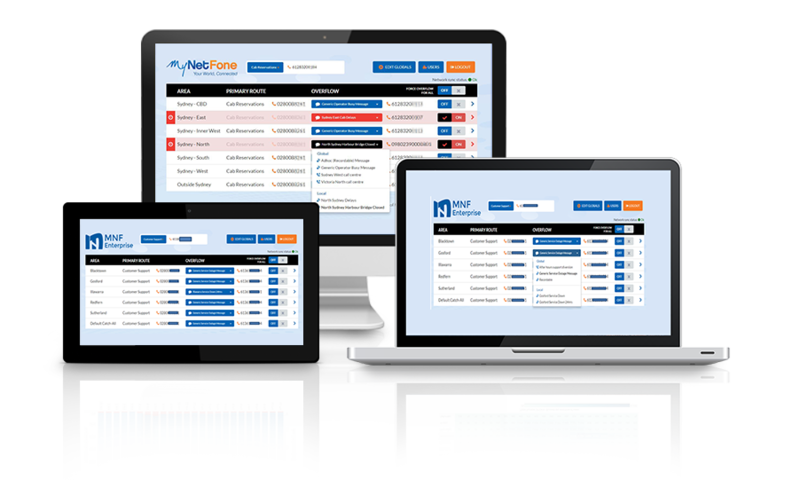 With Pulse, you have direct, real-time control over your inbound call flows. So that when call volumes surge, you can respond with speed and precision. Within seconds you can overflow calls to an IVR menu, pre-recorded message or a secondary contact centre. Handle calls differently depending on the caller’s location. Pulse verifies the origin of every landline or mobile contact. Pulse can be deployed in weeks, over the top of your existing inbound services and SIP voice services. Basic inbound reports are delivered daily via email. For deep reporting, add-on the Precision Analytics platform.